My Roof is Leaking. Who do I Call? "My roof is leaking who do I call?" is a phrase that nobody wants to say. But hey, it happens. 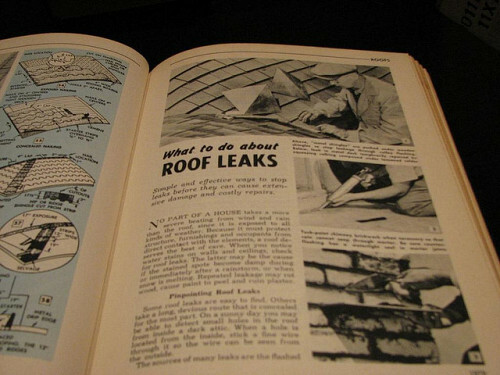 When my roof leaks, I'll tell you who I call: a roofer. I'm not saying that to make you feel stupid, but then there are some people out there who don't associate a roof leak with...a roof. For instance: I actually know someone who called a painter when her roof leaked! No, really! Water was dripping through the ceiling, and instead of calling a roofer, she called a painter to replace the ceiling's drywall and repaint the ceiling. So, since I have seen it with my own two eyes, it is fair to say that for some people, "My roof is leaking who do I call?" is a real question. Yes, calling a roofer is expensive. Yes, you might have to also call a painter to replace the drywall and repaint the dripped-on area. No: There is no other option. The only option is to call a roofer if your roof is leaking. Not a handyman; not a general contractor; an honest-to-goodness roofer. Where can you find a roofer if your roof is leaking and you don't know whom to call? OK, good question. Should you use the phone book? Should you Google it? Should you ask a neighbor? One thing you can do if you are saying to yourself, "My roof is leaking, who do I call" is to is to ask neighbors for recommendations. Once you have a recommendation from a neighbor, check his name on the Better Business Bureau website to be sure that there are no active complaints lodged against him. If that doesn't appeal to you, fill out the form at the top of this page and get free quotes from prescreened, licensed roofers in your area. Who else can you call? If your city has a consumer advocacy hotline, you might consider placing a call to them to find out if the city or state offers any rebates or tax breaks to people who make energy-efficiency improvements to their houses. You could also check your city's municipal website to get that information. If there are any incentives, you might consider taking the opportunity to not just have the leak fixed but to improve your roof and attic in general. Regardless of whomever you choose to call to fix your leaking roof, the second call you should make is to his references. Find out how his work has stood up in the long run, and what he was like to work with. If he can't provide any references for you (or if he can only provide family members as references), call someone else. Also, it would behoove you to check his license number to make sure that it is active. Many states have online contractor license checkers. Finally, call more than one pro. Look at their respective price quotes and references before your choose one. So now you have an answer to the question: "My roof is leaking; who do I call?" Good luck! Here's to watertight roofing! Find qualified roofing professionals near you.